INDUSTRY.co.id - Jakarta, the Association of Automotive Industries (GAIKINDO) requested the policy of automotive tax rate to be completed soon. The reason, automotive tax became one of the problems that must be resolved properly in Indonesia. Chairman 1 Gaikindo Jongkie D. Sugiarto said the tax harmonization will encourage the growth of the national automotive industry. "Hopefully, there will be a harmonization of tariffs," he said in Jakarta (12/4/2018). To note, currently the Ministry of Finance is reviewing the imposition of sales tax on luxury goods (PPnBM) of sedan type vehicles. The tax imposed for a saloon car is about 30 percent. In addition to hoping for a tariff harmonization to be finalized, Jongkie also hopes, Euro 4 standard will be applied soon. He believes its application can encourage national automotive production, as production processes become more efficient. "Automated auto exports are also increasing," he said. 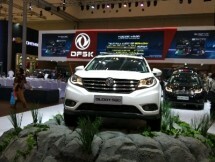 For now, Jongkie explained, the car production capacity by the automotive industry reached 2.2 million units a year. Of that amount, the newly used production capacity is 1.3 million units, with exports at 200 thousand units. If two things have been settled by the government, Jongkie believes, the car market in Indonesia can rise to 1.5 million units in accordance with the target of the Ministry of Industry. "If it has been achieved, the more investment, the more open jobs," he concluded.